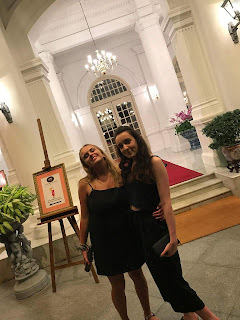 As the only full day here we wanted to take full advantage, however only I seemed keen for an 8am wake up call and so we didn't actually make it to the buffet breakfast until it ended at 10. 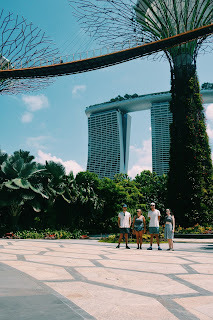 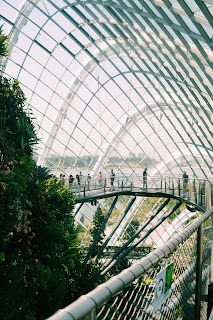 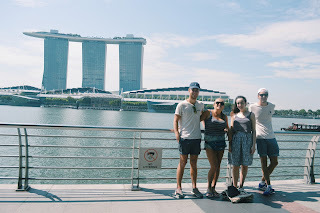 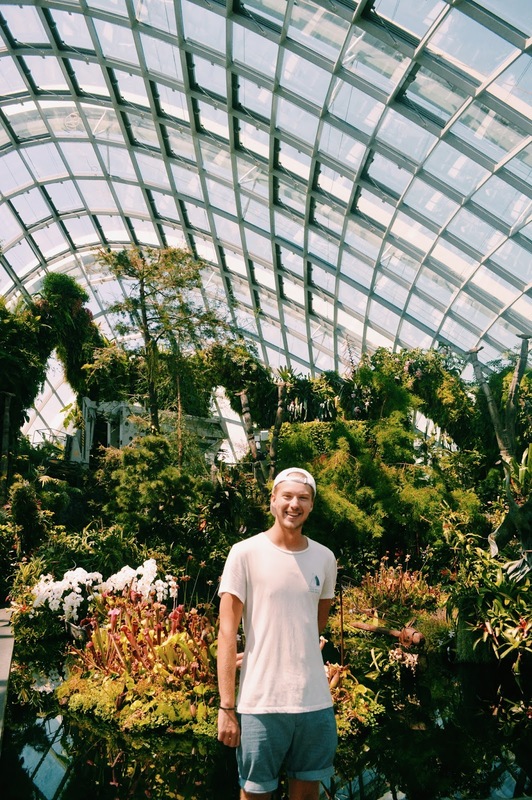 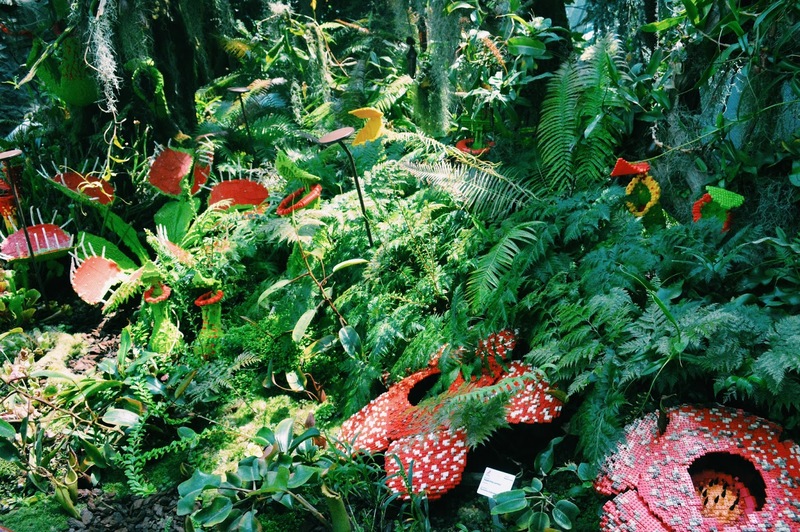 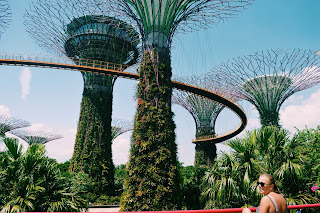 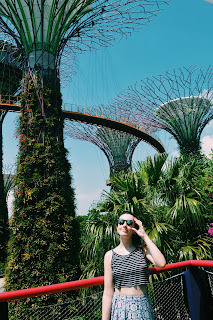 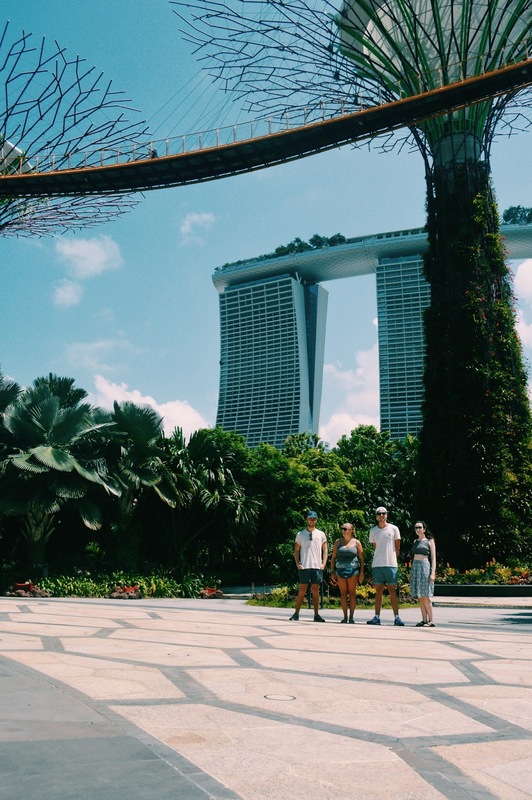 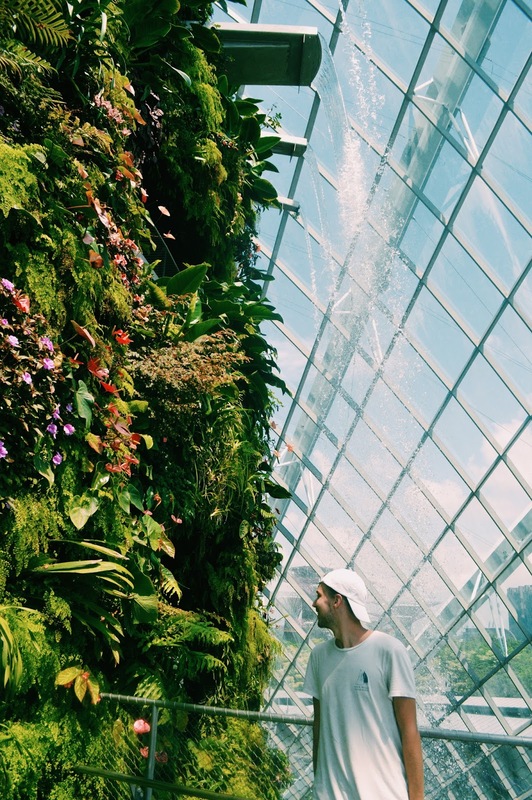 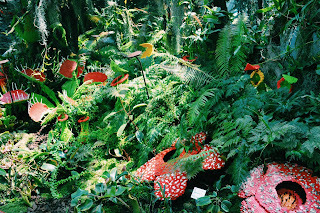 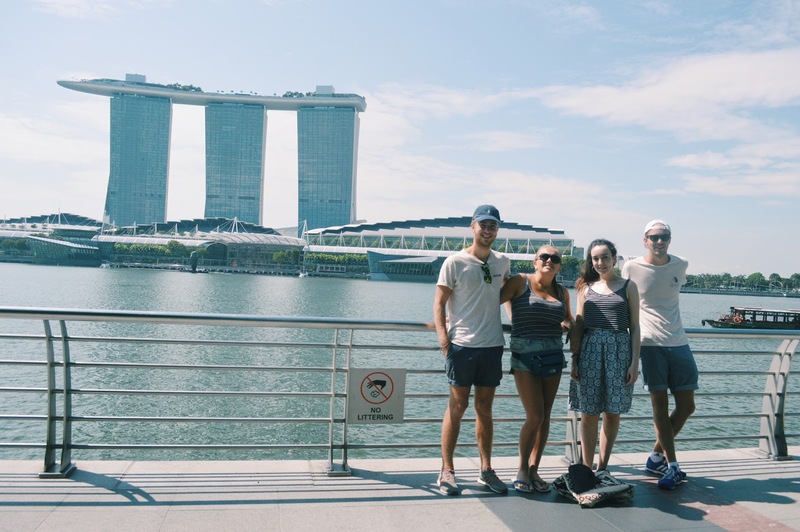 We headed out abut 10.30 and made our way to the gardens by the bay. Eddy and I paid to go in the cloud forest which was soooo cool and we wandered round the outside with the others before getting some lunch. It was really hot and we caught an uber to an art museum where some of Collette's relatives had worked, and took a photo and then headed back to the room. 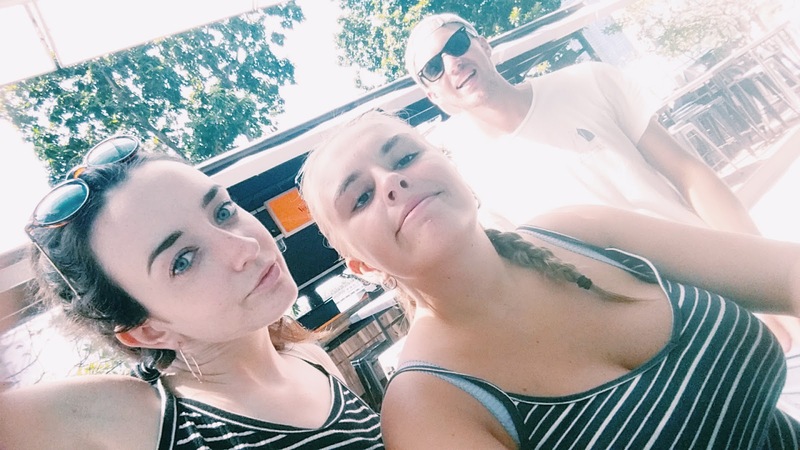 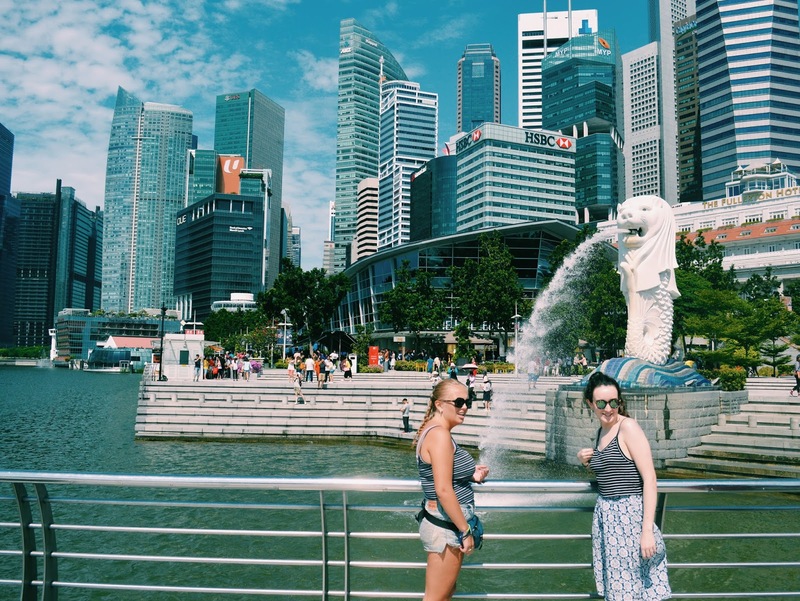 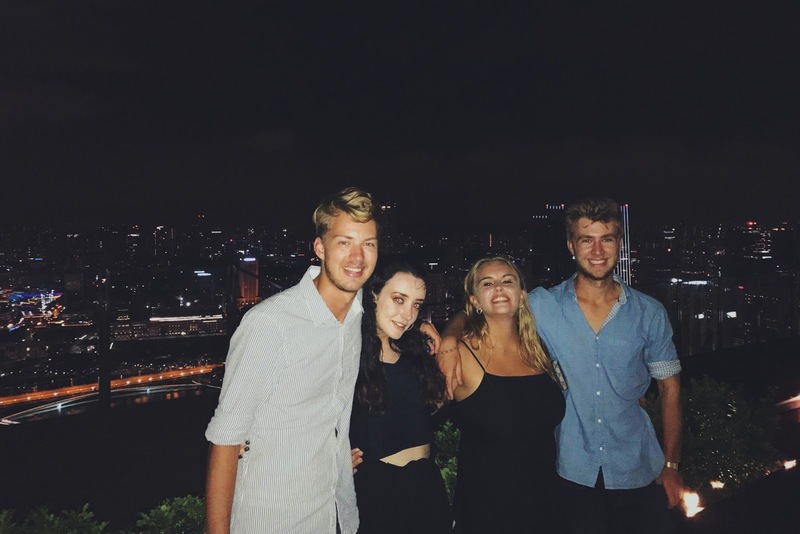 We spent a while getting ready then bought some cider in 7/11 and went to a happy bar at a bar next to our hostel before heading to Raffles. 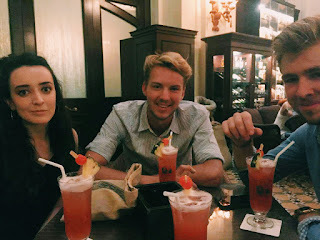 We all got a singapore sling which was actually so nice, but for like £18 we could only afford one each. 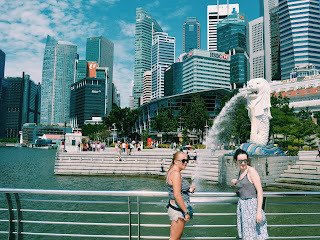 It's the only place where littering is legal in Singapore so the ground was covered in peanut shells which was weird. 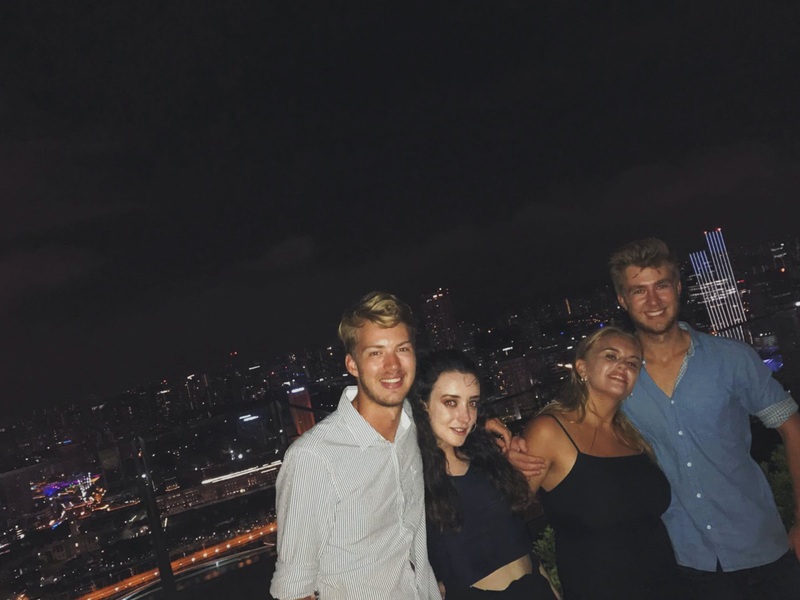 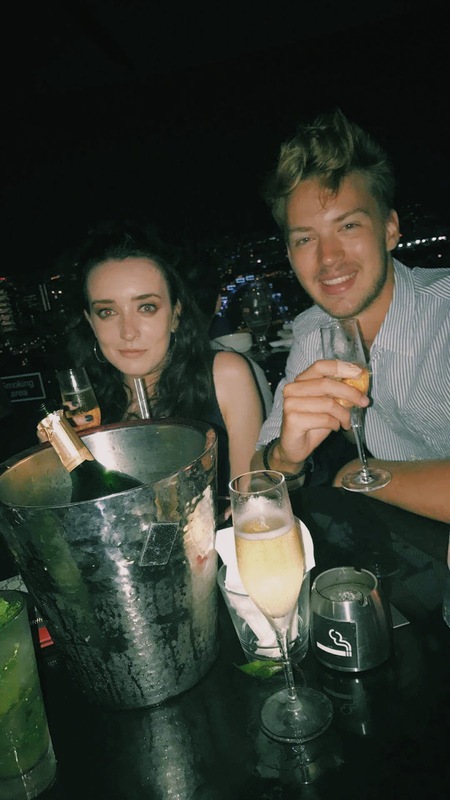 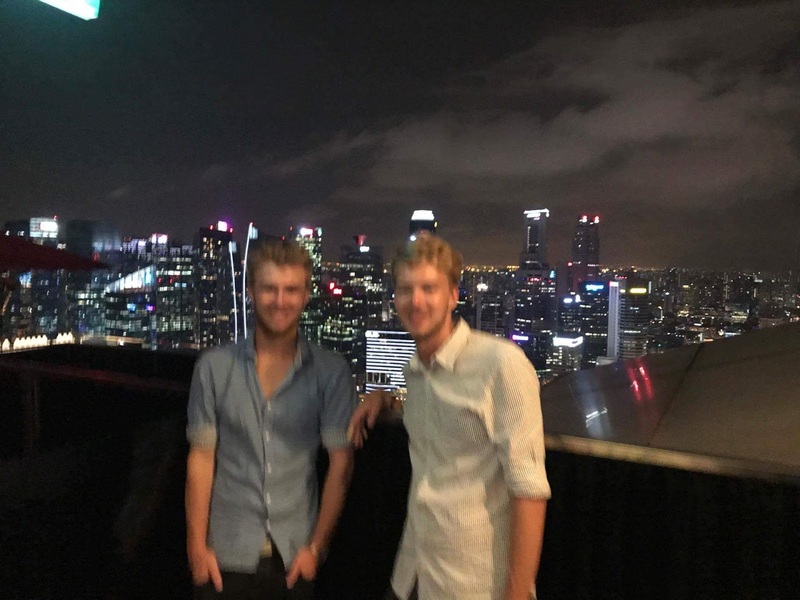 Afterwards we caught an uber to Marina Bay Sands and got the lift up to the 57th floor where we went slightly crazy buying drinks. 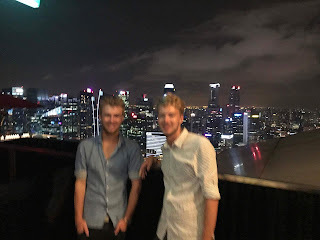 The views were incredible and it was weird pretending to have loads of money after having some 75p noodoes for dinner a couple of hours earlier. 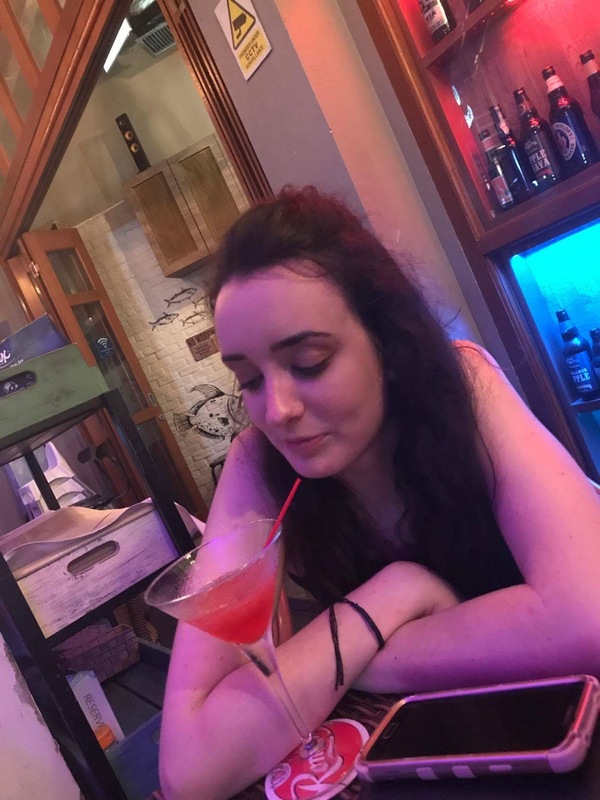 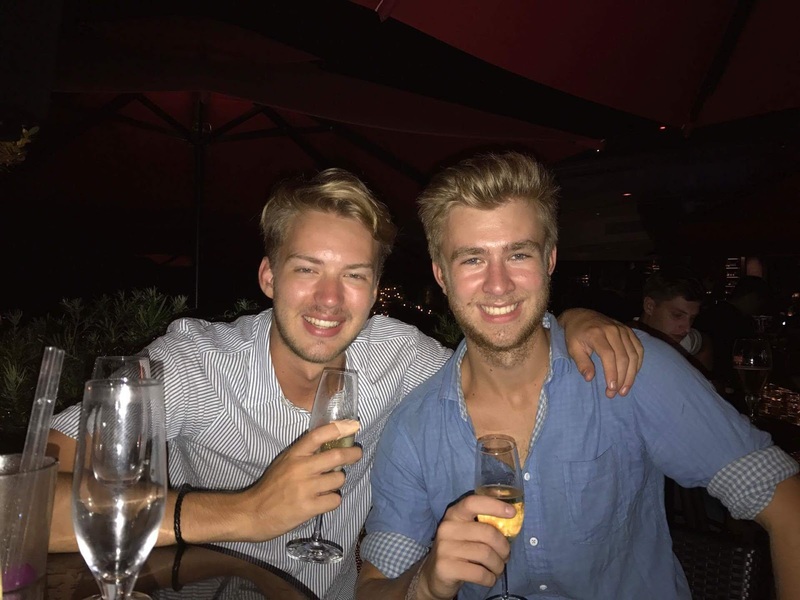 After a couple of hours there we headed to where the clubs are but were all too tired/poor at this point so just got one drink and caught an uber back to our hostel (via getting some chips of course.